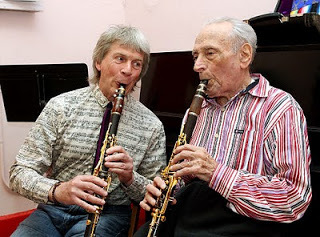 Oboists use it, bassoonists use it, brass players use it. Using both lips to form the embouchure for playing these instruments is rarely if ever given a second thought. Not so with the clarinet. 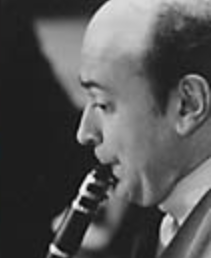 Because of the type of mouthpiece used on a clarinet, double-lip embouchure can seem difficult to learn at first, but when properly understood and used, it is the only way a player can produce the most free and overtone-rich sound possible, and it is the only way that the upper register can be made to speak clearly, reliably and most important expressively and beautifully. With that bit of hype as an introduction, let me explain why double-lip is recommended and how it is properly formed and used. I’ll begin with a bit of science. The sound on a clarinet is made by the reed vibrating against the mouthpiece. The sound of the vibrating reed picks up its timbre from the sound waves produced entering into and resonating in the oral cavity, the mouthpiece, and barrel. The more freely and unencumbered the reed can vibrate, the richer in overtones the timbre will be. Within the control of the embouchure, more richness is a good thing, and is the hallmark of the best players’ sound. Here’s where double-lip is so valuable. First, when used correctly, the player never bites or clamps down on the reed with the jaw. There is little upward pressure exerted by the jaw; only enough to assist the lower lip in exerting sufficient support onto the read. This allows the reed to vibrate more freely. Also, the pain and fatigue that results from biting with a double lip embouchure are themselves sufficient to dissuade most from doing so. Instead of pressing the jaw upward, in a double-lip embouchure, the jaw remains open, lips cover both upper and lower front teeth, and the clarinet is pushed into the lips, while at the same time, the lips press into the mouthpiece (upper) or reed (lower) causing the necessary pressure to be applied to the reed. It may be necessary for the lower jaw to assist the lower lip, but this is always minimal, and never enough to be considered biting. Because the pressure on the reed is applied both horizontally and vertically, it is less oppressive to the vibrations of the reed, immediately resulting in better tone. With the top and bottom lips simultaneously pressed toward the center of the mouthpiece, the appearance of the double-lip embouchure is that of the shape and appearance of drinking from a straw. The combination of the inward pressing of the lips and the upward pressing of the clarinet into the lips while the bottom jaw remains unmoving, completes the well-formed double-lip embouchure. To this embouchure is added a constant flow of air. With the above described embouchure in place, there is no need to adjust airflow to play any interval or register. The reed is now vibrating freely, and a constant and unaltered air stream will produce beautiful results. One of the natural response to pressing the upper lip downward is that the tongue will rise in the mouth. This help channel the airflow through a smaller passage which speeds up the air speed and enhances tone production. The height of the tongue can also be adjusted to create expressive changes in color, and can be useful in improving higher notes. The player will also notice that tonguing immediately improves with this embouchure. Even with the tongue elevated, the tip of the tongue easily contacts the near tip of the reed. The increased airflow facilitates accurate tonguing. Double-lip embouchure is very different from single-lip on the clarinet. When one is beginning double-lip, the added muscle strength needed to press the top and bottom lips down and up, respectively, toward the center, and the sides of the mouth inward as well, takes time to develop. Frequent periods of short practice are recommended, gradually building up to longer playing periods. At first, it will be nearly impossible to play the clarinet standing up, and the player will be greatly helped by supporting the clarinet by bracing it by the bell held on or between the knees. Remember, upward pressing of the clarinet is critical, so the right thumb must constantly push up. For examples of what truly great clarinet playing sounds like when double-lip embouchure is used, I’ve included some audio files below. The first is of Harold Wright performing the last movement of Weber’s Concerto No. 2, the second is of Richard Stoltzman performing “Girl With the Flaxen Hair” recorded at a Mostly Mozart Festival in New York, and the third is of Ralph McLane playing the second movement from a performance of Dvorak’s Cello Concerto. The late Kalmen Opperman also played double lip, and was both a student of McLane and Mr. Stoltzman’s teacher. 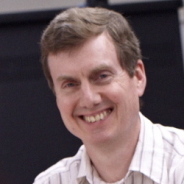 ← What Are The Steps For Developing A Music Curriculum? Thanks for your comment. There is more to a players tone than the embouchure. McLane taught Wright and opperman, but not Kell. Bonade and McClane and to a lesser extent Cioffi earablished the pristine tone associated with the French style. Kell was not of that styke of playing regardless of his use of double lip. It was Kell who taught double lip to Goodman. Personally, I liked Stoltzman’s tone in the late 80s and through the 99s. It was diffeeent from Wright’s sound, but a ppeasing blend of dark and bright that had an expressive fulllness to it. He also made effective use of vibrato, which many objected to. Since the beginning of the 2000s, his playing has declined. Stoltzman was a student of Opperman.